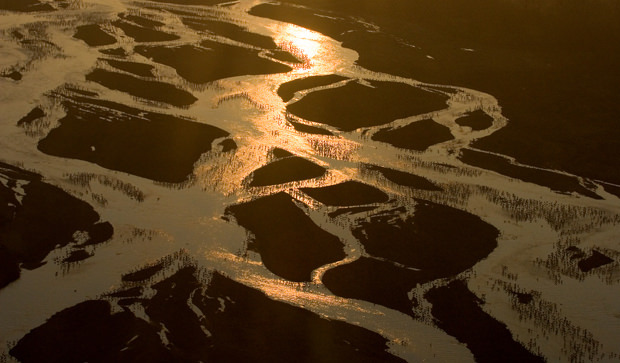 A braided river, like the Platte River, is full of island like these. Photo courtesy of Rick Rasmussen. The river is shallow and full of sandbars. Wading, canoeing, and airboating are popular here. Photo courtesy of Ted Eubanks. The Platte River is very important ecologically, in particular to the Sandhill Cranes during their annual Spring Migration. Photo courtesy of Rick Rasmussen. The Platte River is the longest braided river in North America, made up of numerous small channels splitting off and then rejoining each other. It's formed by the confluence of the North Platte River and South Platte River in western Nebraska. Grand Island was named for a long, narrow island in the River. La Grande Isle, as it was so called by French fur traders in the 1800s, was formed by narrow channels branching off the Platte River. It ranged from 40-70 miles long and 1 ½ to 3 miles wide. It took nine bridges in a span of ten miles to cross the river at Grand Island. 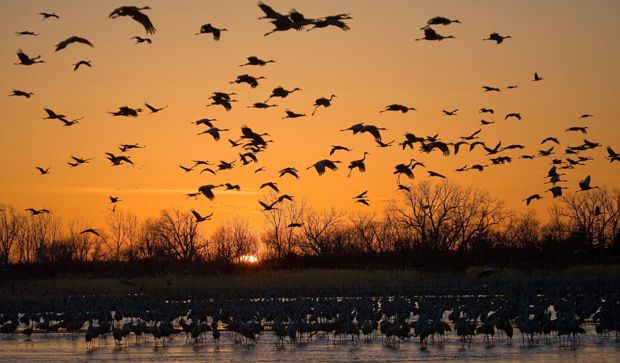 The Sandhill Cranes use the Platte River exclusively during their annual spring migration. Opportunities for birdwatching are abundant in the Grand Island area as well as in our big backyard. 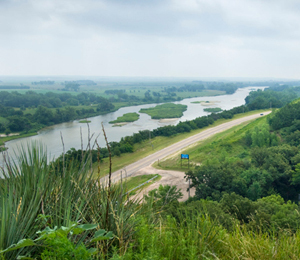 The Loup Rivers Scenic Byway creeps into the eastern Sandhills.